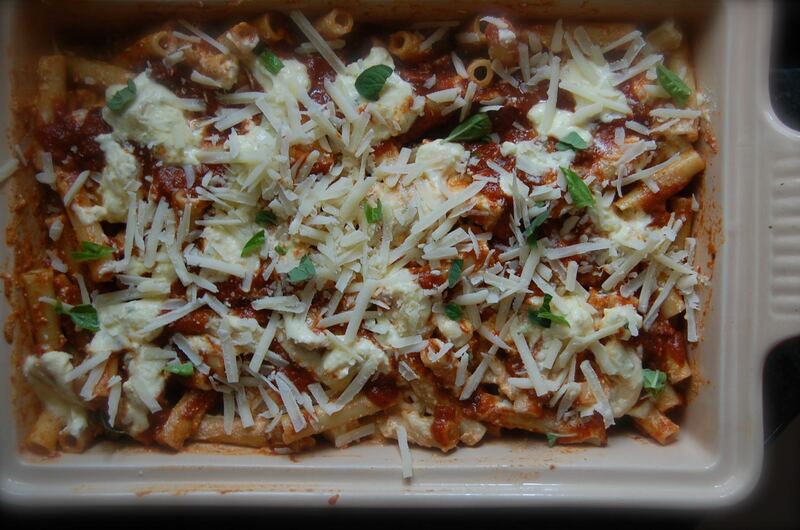 Cook ziti for nine minutes in salted water, drain, cool down with cool water and allow to drain for 10 minutes. 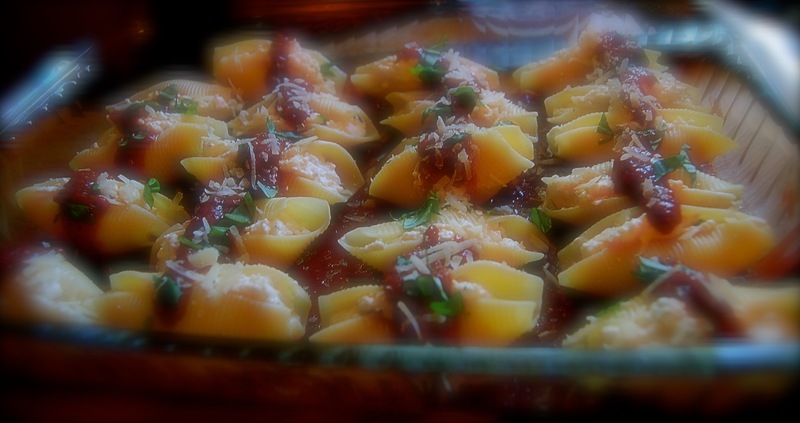 Drizzle large baking dish with olive oil, brush oil all over the dish, add cooled pasta, and about 2 cups of sauce. Add about 1/2 of the cheeses, herbs and any other seasonings that you are using, gently stir all together add another cup or so of sauce, finish adding the blended cheeses leaving some on the top of the pasta. Sprinkle with grated parmesan, cover and bake at 375º for 30-35 minutes or until hot and bubbly…serve with extra sauce and grated parmesan.